Coffee House Press, 9781566893138, 200pp. 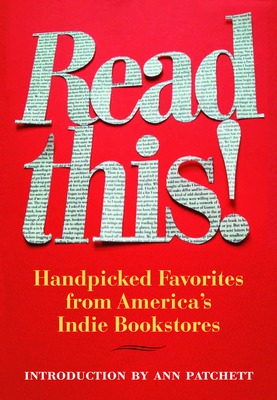 This book offers lists of favorites that have flown under the radar, but off of bookstore shelves. First published on Hans Weyandt's blog for Micawber's Books, each list includes a bookseller's top fifty books, anecdotes, and interviews about the life of being a bookseller, reader, and engaged citizen. All proceeds will go to American Booksellers Foundation for Free Expression (ABFFE). Contributing bookstores include Book Passage, Tattered Cover Book Store, Three Lives & Company, Boswell Books, City Lights Bookstore, BookCourt, Harvard Book Store, Carmichael's Bookstore, Prairie Lights, The King's English Bookshop, Square Books, Magers & Quinn, Micawber's Books, Unabridged Bookstore, Regulator Bookshop, Subterranean Books, Faulkner House Books, Skylight Books, Maria's Bookshop, Inkwood Books, Rakestraw Books, RiverRun Bookstore, Sherman's Books and Stationary, Iowa Book, and Fireside Books. Hans Weyandt is a co-owner at Micawber's Books, an independent bookstore in St. Paul, Minnesota. Ann Patchett is the best-selling author of five novels, including Run, Bel Canto, and most recently, State of Wonder. She owns Parnassus Bookstore in Nashville, Tennnessee. Hans Weyandt: Hans Weyandt is a co-owner at Micawber's Books, an independent bookstore in St. Paul. He lives in Minneapolis. Selected as the nonfiction pick in the Fall 2012 Great Lakes Great Reads by the Great Lakes Independent Booksellers Association!